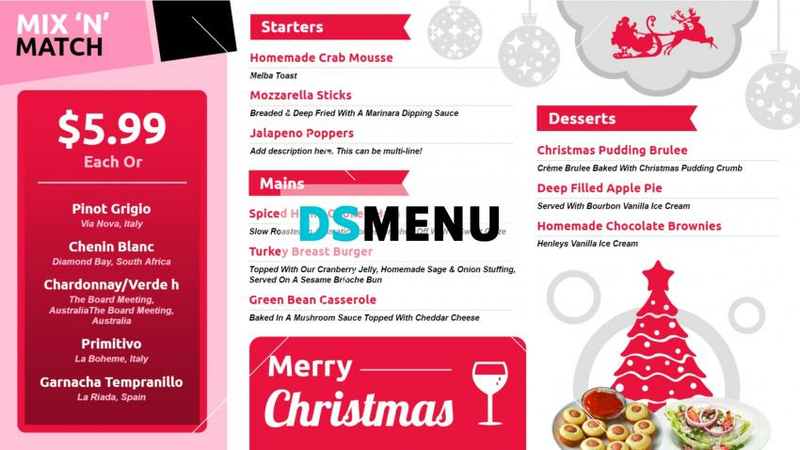 A very trendy and sophisticated Christmas menu. The pink and white colors provide a rare elegance. The exquisite menu selection contributes to this stylish setting. The excellent visual appeal on a digital menu board will certainly entice the target audience, and you can expect bumper sales all days of the week.